Our picks for great food. Let's start this page by giving you some background on our dining habits. We don't eat expensive meals at home, and we don't start while we're in Las Vegas. Even when we go to a steakhouse in Las Vegas, we're probably going during Happy Hour or using a coupon from Las Vegas Advisor or the American Casino Guide (ACG) to hold down the cost. We do enjoy a good meal and we'll pass along on this page some of the restaurants we enjoy while vacationing in our most favorite city. Peppermill - (MENU) - 2895 Las Vegas Blvd South (MAP) - Bring a big appetite, or a friend. Peppermill's food is fantastic, filling, and plentiful. Bring your husband, wife, boyfriend, girlfriend, S.O., etc. and split a meal with them. By the way, take a couple of their blueberry muffins back to the hotel with you for a snack later. You'll be so glad you did. McMullan's Irish Pub - (MENU) - 4650 W Tropicana Ave #110, next door to Orleans (MAP) - (NOTE:HH on the menu by certain starters are 1/2 price during their Happy Hour from 3 P.M. - 6 P.M. and from 10 P.M. - 2 A.M.) We always make time to stop by McMullan's every trip. It's just that good. The shepherd's pie, Irish nachos, and a selection from the bit 'o beer menu makes for a good end of the day (or lunch). If it's that time of the year, you'll find (European) football on the t.v. With its combination of great dark woods in the bar area, and small cozy rooms off the bar area, that look like they were pulled out of old houses in Ireland, you'll find yourself staying there a while to enjoy your pint. A great place! Metro Pizza - (MENU) - 1395 E. Tropicana Ave. (our favorite) (MAP), plus they have other locations - Inquire with your server about their Happy Hour which goes from 2:30-4:30 M-Thur. and offers 1/2 price pizzas (not offered at the Ellis Island location). Since we're East Coast folks, we always manage to get by for the happy hour special. We order one pizza regular crust and one with Metro crust, which is slightly thicker. They bring out great bread for you to snack on while you're waiting on your pizza to come out, but don't fill up on it, leave room for some of the best pizza you'll find in Las Vegas. They also have a pretty good wine selection to go with your pizza if you so desire..
Black Bear Diner - (MENU) - 6180 W Tropicana Ave. - (MAP) - Here's another great restaurant we've eaten breakfast in, but they do have some wonderful looking lunch and dinner items. It's mostly locals in there, not to many out-of-state license plates in the parking lot. Their biscuits are the kind like my grandmother made in North Carolina, and their orange juice is FRESH SQUEEZED and not from a can. You just don't find that anymore. All around good meal, excellent service and a price that doesn't break the bank. Coco's - (MENU) - 169 East Tropicana (In the shadow of Hooters Hotel & Casino) (MAP). We were surprised to find that Coco's has 111 locations in the Arizon-Nevada-California area, because this restaurant feels like a mom and pop operation. Friendly staff, a good selection of baked goods available, and a fantastic menu we really enjoyed our meals. Best of all, the price didn't break the bank. This is not a recently built location, so it does show a little wear and tear, but the food, service and price more than make up for it. Open 24 hours. Blueberry Hill Family Restaurants - (MENU) - 1505 E. Flamingo (Our favorite, but they have 3 locations-MAP) will serve you some great food. We get a very good breakfast there, but they serve food all day long. You have GOT to add a Cinnamon Swirl Pancake to your breakfast when you eat there, you'll be talking about it for days, it's that good. Good service and they have some tasty looking desserts that we'll try one day when we stop in for a meal other than breakfast.They're open 24 hours, 7 days a week, so give them a try. the Egg & I Facebook page for a listing of other specials available. 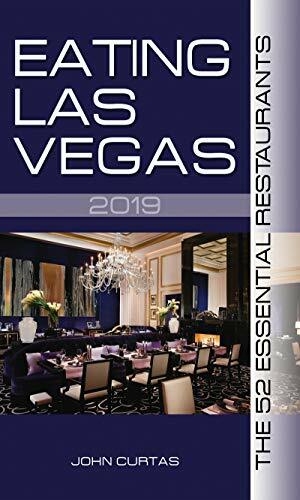 Primarily Prime Rib - (MENU) - 9777 Las Vegas Blvd South - (MAP) - Easy to find as it is located inside South Point Hotel & Casino on the Casino level near the parking garage exit. If you're looking for a prime rib that will not break the bank, here you are. Good service, meat you can cut with a fork, good servers, good desserts, it's just got it all. If you're staying at South Point, you might have a free dessert coupon in your Funbook you get when you check in! Freed's bakery - 9821 S. Eastern Ave. - (MAP) - The fabulous Freed's bakery. Stop in and get some of the best baked goods in Las Vegas. Take them back to your hotel room and devour them, they are so good. The Yardhouse - (MENU) - 6593 S. Las Vegas Blvd (Town Square Shopping District) (South of Mandalay Bay) - (MAP) - When you enter the Yardhouse, look to your left at their Tap Room. They have 130-140 different beers ON TAP at any given time. You have to be able to find something you like, just ask your server, who will be glad to make suggestions. Their menu is a bit upscale, but the food is delicious. They also feature gluten free and vegetarian items on their menu. Comfortable booths and attentive servers (who appear when you need them, but don't hang all over you) make this a fantastic meeting place. There is also a Red Rock location that we've not eaten at yet, but it should be just as good. Coronado Cafe - (MENU) -9777 Las Vegas Blvd South- (MAP) - Graveyard Specials Midnight to 6 A.M. - Another good place located inside South Point, and these Graveyard Specials are a superb deal if you're an early riser. The restaurant is open 24 Hrs, but these specials are only for 6 hrs, so get there if you can. You can have a good, filling breakfast for $2.95 - $4.95, excluding drinks, which will cost you another $2.75 ($3.75 if you want juice). Check the Menu link above, the specials are right at the top. Al Fresco Dining - There are many places to enjoy dining outdoors in & around Las Vegas. A lack of insects and a great climate help make it a great way to eat and, in many places, people watch. The only caveat is to make sure you cover up during the hottest times of the year so you don't get a sunburn. Here's a list of places to eat, their location,and a link to their menu. Enjoy!